Yes, that’s fundamentally the issue: it’s a clash of competing interpretive frameworks. One has powerful social and political support. The other is right. Gosh! I never thought I was going to disagree wholeheartedly with Loren on almost any matter but but now it has happened at last. 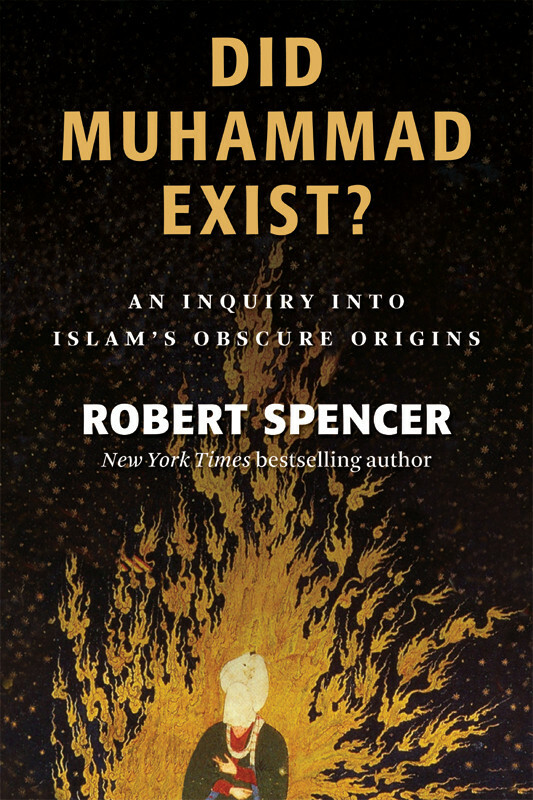 It’s all about Robert Spencer’s book on Muhammad. I read it more than a year ago and I have been mulling about it ever since then. The book left me a bitter aftertaste and it still does. It is those kind of books where the author is out to prove a thing at almost any price and by whatever methods. Spencer’s distaste for Islam and its founder is wellknown and here I got the clear impression that Spencer behaves much the way Jesus mythers do; falsify a religion in the most effective way by “showing” that the founder never existed. Personally I think Spencer hasn’t even come close to doing that. And definitely not in “Did Muhammad exist?”. It is a book full of sloppy thinking and sloppy scholarship. I don´t want to make any second guesses about why my normally clearheaded friend Loren has swallowed Spencer’s assertion that we have a “60-year stretch of silence” before Mohammad shows up in our earliest sources. Despite Spencer’s efforts to cast doubt on early sources like the Syriac gospel fragment (dated to the 630ies) I think his nitpicking is unpersuasive. Equally unpersuasive is Spencer’s way of mostly relaying on fringe theories and fringe scholars like John Wansbrough and Christoph Luxenburg (Princeton islam scholar Patricia Crone with a slightly hidden disdain calls him an amateur). And I hardly think it is a coincidence that Spencer leaves the recently found Sanaa fragments of the Quran from Yemen (dated to the end of the 7th century) out of the discussion. These fragments show conclusively that something very close to the modern Quranic version already existed 40-70 years after Mohammad’s death. Which make it very difficult to believe that the Quran was a later invention by the Ummayads and the Abbasids. It is also hardly a coincidence that Spencer almost totally leaves out a discussion about the internal “evidence” of the Quran itself. I suppose one reason is that Spencer doesn’t know classical arabic himself. How is he to get into things like the peculiar style of the suras? A thing that on its own make most islam scholars who know arabic pretty certain that most of the suras go back to Muhammad himself and not to some later inventive muslims in Abbasid times. I don´t know one iota of arabic myself but even reading the Quran in a translation makes me wonder why later muslims living in Ummayad and Abbasid times would make up the chronologically and thematically disjointed suras that are part of the Quaran. The hodgepodge of the Quran makes a lot more sense if the traditions about it being the utterances of Mohammad being true. Just as it makes a lot more sense if the verses were later collected at the time of Uthman (were the traditional story fits pretty well with the timing of the Saana fragments). What makes me weary about Robert Spencer is that I am 100 % sure that he would never use the same sloppy methods to dissect the traditions about Jesus. I am sure that he would deem even the Gospel of John about 99 % historically reliable. Personally I have come to the conclusion that Mohammad is unique in being a founder of a religious movement from Antiquity where we have we have the majority of his teachings as coming to us as almost out of his mouth. We really get into his mind in a way we can never do with Jesus or Buddha. I ordinarily wouldn’t reply to such a piece, but Loren wrote and alerted me to what Antonio Jerez had written, and I thought it might be an interesting exercise. In reality, when I started researching the book, I thought I would find that Muhammad certainly existed but that some of the material in the hadith about him that was generally considered to be authentic was actually inauthentic. The more I researched, however, the less I found — that is, the less I found that supported the canonical picture of Muhammad. I am not in the least interested in falsifying Islam. My interest in Islam is focused on Sharia threats to human rights and the jihad threat to free societies. People who believe in Islam but leave infidels alone are fine by me and I have no interest in disturbing their myth. My interest in the question of Muhammad’s existence is historical. Why? Antonio Jerez does not explain why. In any case, I discuss the fragment and note that it provides us no details that authenticate the voluminous hadith literature about Muhammad. I stand by that. Jerez doesn’t mention my strong reliance on the presumably “professional” Crone; nor does he note that Crone was a protege of Wansbrough. Anyway, calling someone “fringe” is not a refutation of his work; it is just a pejorative term meaning that the views espoused by this person are currently unpopular and not in favor. The real question is whether or not what they say is true. Galileo was “fringe” in his day. In reality, I state in the book that the Qur’an and Islam started to take shape during the end of the 7th century, so these fragments do not refute my thesis in the slightest. However, these fragments do not in themselves “show conclusively that something very close to the modern Quranic version already existed 40-70 years after Mohammad’s death.” Luxenberg and Lueling argue in different ways that the Qur’an was constructed from already existing material. The fragments could be fragments of that earlier material, and not of the Qur’an at all. This is an odd quibble, since in the book I do actually discuss the Qur’an’s style, nonce words, words of unknown meaning, obvious textual interpolations, and more. These discussions are in chapter six. Did Jerez throw the book down in disgust before finishing it? I don’t argue that the Qur’an is a product of Abbasid times, but of the Umayyads. This argument cuts both ways. If the standard story of how the Qur’an was put together is true, why couldn’t those who collected it together in Uthman’s day put it in some coherent order? Why couldn’t Muhammad have done so before that? To claim that a committee (as per the stories in early Islamic sources about the Qur’an’s collection) in the 650’s couldn’t have organized the Qur’an more coherently but a committee in the 690’s would necessarily have done so is, well, ridiculous. I haven’t studied the Gospel of John on that basis, so I couldn’t say. In any case, I’m not for “sloppy methods” being used anywhere, but as I state in “Did Muhammad Exist?,” I am all for historical criticism of the Bible. I merely suggest it should also be allowed to be done on the Qur’an. Funny how these teachings come almost out of his mouth and then Muslims clammed up about them and never mentioned that either he or these teachings existed for six decades, and for much of what came out of his mouth, even substantially longer. Well, I will have to trust you on that one. At least until I see a book by Robert Spencer on the historical Jesus and see if he is prepared to use the same methods he applied on Muhammad to Jesus. True. I didn’t mention your reliance on Patricia Crone. Neither that she was a pupil of John Wansbrough (I knew that). Once in a time Patricia Crone could have been called a “fringe” scholar. Today she probably belongs to the mainstream. The problem is that you rely exclusively on her early works like “Hagarism”. Works that Patricia Crone herself has long since repudiated. Today I think she would say that those theories were mostly due to the influence of her iconoclastic teacher Wansbrough. Thankfully Crone has come to her senses and become a much better scholar. I certainly don’t think the reason for Crone nowadays thinking that the evidence for Mohammad’s existence is “irrefutable” is because Princeton has been pressured by the prospect of losing donations from the Saudis. That is at least the reason one of your fans on Jihad Watch gave me. And I don´t think it is true Crone has “not offered no new findings or evidence” to explain why she doesn´t stand for what she wrote in “Hagarism” any more. She has published many new articles since then and agree that many of the mainstream arguments for the existence of Muhammad still stand up very well. A good summary of her current position can be found in a recent article for the general public – “What do we know about Muhammad?”. If I have understood you right you state that the Quran started taking shape during the reign of the Caliph Abd –Al-Malik (685-705). Which logically means that If we have found page after page of a book that looks very much like our modern Quran (The Sanaa fragments) that can be dated by the radiocarbon method to between 645-670 then it becomes very hard indeed to to argue that Abd Al-Malik who started reigning later made up the Quran. I don´t think you have to be a mainstream islam scholar to agree about that. I don´t think it will come as a surprise that I don’t give much for Luxenberg’s arguments. Neither do most secular or non-secular islam scholars. Patricia Crone speaks for most scholars when she calls him an amateur. By Luxenburg’s (and Spencers) logic one could as well argue that the Ryland Papyrus P52 fragment from the Gospel of John (dated to between 117-138 AD) is not actually a later copy of the original Gospel of John even though the words very much resemble the Gospel of John. It could after all be a copy of an unknown source that the original author of the Gospel of John used for his gospel. You are probably right. Either I threw away the book in disgust before finishing it or I have totally forgotten the content of chapter 6-9. On rereading I see that you actually have a discussion about that. But most of the points you make about syriac loanwords, interpolations and the haphazard quality of many parts of the Quran do seem to be more directed against muslims who believe that the Quran is the perfect word of God written in perfect Arabic. I am no believing muslim so I don´t have any problem with that. I agree that there are syriac loanwords, interpolations and a haphazard quality to the Quran. Which is what one could expect given that Mohammad lived and travelled around in the Arabian peninsula where he must have met and talked to quite a lot of Christians. He seems to have been one of those men whose brain soak up quite a lot of things during their lifetime – only for those things to unconsciously pop up in all kind of combinations when he got into his mood of revelations. The real problems start when you rely on Luxenburg’s ideas that the Quran was not originally written in Arabic but a translation of Syriac or other non-arabic works. I definitely don´t know classical Arabic but I think I trust mainstream scholars like Jan Hjärpe a lot more than Luxenburg when they tell me that a very special style runs through all of the suras – a style that seem to go back to ONE man who had Arabic as his language. The wordplays and rhymes that run through the suras are almost impossible to explain if they were not originally in Arabic. I don´t think the order of the suras is the greatest obstacle to your thesis. The big problem is the content of the suras. Why would the Caliph Abd Al-Malik make up sometimes unintelligible suras that have very little relevance for the multiethnic empire building that he and the Umayyads were doing? If Abd Al-Malik really made up suras to “unify and strengthen his empire” then why didn´t he order his scribes to make up some sayings from the prophet/Allah that could be a weapon against the partisans of Ali and his descendants who claimed that the Ummayads were false usurpers? And isn’t it a bit strange that the Shias never made up a Quran of their own if they had had the slightest inkling that the Quran was a creation of their enemies the Ummayads. I think the answer why this never happened is pretty obvious; the Shias had traditions that clearly anchored the Quran with Muhammad and his family. No matter how much you hated the Umayyads or the Abbasids it was forbidden to tamper with the Quran. If you wanted to get at the Umayyads or the Abbasids you had to do it through the Hadiths. I don´t think we have any detailed genealogies for Hamlet or Macbeth. Neither for Robin Hood or Ivanhoe. And if the genealogies of Mohammed were in invented I find it strange that none of the major Islamic sects have questioned their veracity. And why all the Umayyad scare and fuzz about Hassan and Hussain if the Umayyads had not been as sure as the Shias that they were grandchildren of a very real Prophet? The best critique I have read so far of Robert Spencer’s book is by a guy named Yassin on Amazon. Don´t know if Robert has posted a rebuttal of it somewhere. If so I would be interested in reading it. For me it’s the other way round. Disagreeing with Loren on almost every point regarding Secret Mark, I never thought I was going to agree so wholeheartedly with him on the issue of methods and so on when it comes to the historicity of Jesus, on Carrier’s approach and Ehrman’s and Casey’s previous attempts. A fair and balanced summary AFAICT. Another reason why I think it is much more easy to make sense of Mohammed as a real historical person than Jesus. There may be tens of thousands of Hadiths (traditions) about Mohammed, most of them probably false, but many of them and much of the information in the Siras (the biographies about Muhammad) smell like reality. Information about the kind of food he liked, a whole chain of information about his family, ancestórs, companions and enemies down to the smallest details etc etc. Macbeth “smells like reality,” too. Hamlet is an awfully realistic guy. Neither are real. Macbeth smells like reality because, umm, he was a real King of Scots. He reigned from 1042-1057. He overthrew and murdered King Duncan and was deposed by Duncan’s son Malcolm, who was backed by Edward the Confessor. Of course, his actual reign bore no comparison to Shakespeare’s play on the subject. But it wasn’t intended to, being instead about power politics and the coming of the Stewart dynasty to rule England. Such traits are common in Shakespeare. Richard III also little resembled his dramatic counterpart. Or for that matter, Hotspur or Glendower in Henry IV. They were loosely based on historic events but placed in a different order or exaggerated to improve the drama a la Philippa Gregory or recent films on the subject of the Ninth Legion. So you didn’t pick the best example. Moreover, it doesn’t say an awful lot for your care and/or thoroughness that you didn’t check before posting – even off-the-cuff in a blog discussion. We were bound to disagree on something sooner or later! Needless to say, I don’t think Spencer’s book is so dire. You’re right that he’s well-known for his distaste of Islam, but having listened carefully to his lectures, I’m confident that he’s way over-maligned on this point. Part of the problem is that he’s a crusader, and crusaders always seem biased — because they’re always fighting. He does have a fan-base (frequent commenters) at Jihad Watch, many of whom are no doubt Islamaphobes. But you’re probably right that Spencer wouldn’t be as critical with Jesus and the NT. In fact I called attention to this at the bottom of my post on the figure of Abraham, noting his correct view of the Qur’an’s supremacist Abraham, while he soft-peddles the supremacism of Abraham in the Jewish and Christian understandings. Nice to see you breathing fire again. Hope things are well in Sweden. I don’t have “trolls,” and Antonio Jerez doesn’t have the slightest idea whom I have met. Well, I’m not surprised you were smacked around at Jihad Watch! Easy to get in a brawl over there. But when you say that you are “no big friend of Islam, but do know from personal experience that most muslims don´t go around dreaming about Jihad against us westerners allmost all the time”, Spencer has repeatedly agreed with this very statement. Listen to his lectures, they’re all over the place. He agrees that most (millions) of Muslims are peaceful human beings who want to co-exist amicably in the world just like anyone else. What he does emphasize is that there is a significant faction, the jihadists, who remain so viable and threatening because the Qur’an and all four schools of Islamic jurisprudence enshrine militant supremacism. It’s no accident that for every one Timothy McVeigh there are thousands of jihadists; one reason is because the jihad has not been officially repudiated, even if ignored by the peaceful millions. I’m rather amazed at the persistence of this talking point. Is it so hard to see this? Muslims believe that Muhammad existed. Muslims believe that Muhammad said and did certain things, and those things are normative for Islamic law. Thus it is extremely important for Infidels to know what Muslims believe Muhammad said and did, as this will illuminate jihadist behavior and future plans. However, this belief in Muhammad doesn’t mean that Muhammad was an actual historical figure. If a Christian turns the other cheek, it is because he believes in Jesus. But that belief doesn’t mean that Jesus actually said those words — whether or not he did is a separate question. Does this mean it is historically likely that Muhammad received revelations from the devil? Why would Muslims have said Muhammad received revelations from the devil if no Satan had appeared to give revelations to Muhammad? In order to explain why the sacred text and core teachings of their developing religion was changing. Robert, my friend, this just does not sound convincing. There are all sorts of ’embarassing’ stories in the Sirat, e.g. starting with the reaction of Muhammad’s discipleship to his “overnight journey” to Jerusalem. Unlike the Jesus’ movement which was counter-culture at the and invented stories of Jesus’ appearance of a demon-possessed to assert their own “election” (note e.g. Paul’s insistence that his being out of his mind is proof of his apostleship. The verb in 2 Cor 5:13, existēmi, is the same as what was reported of Jesus to his family in 3:21), the mental profile of Muhammad would hardly have been invented. The 111th sura (al-Lahab), eg. does not come from by a religious composer. It has ‘insanity’ written all over it (rhyming the name of his uncle ‘Father of Flame’ with the flaming fire of hell). IMHO, the fitnas of succession immediately after Muhammad passing definitely point to a founder figure whose authority was absolute. Jiri, your mentioning of sura 111 is a perfect example of the kind of style found in the quran that makes it very difficult to believe that it is a product made by scribes. It is easy to see that the Torah and Gospels are products made by intellectuals well versed in the scribal traditions of Israel ( and to a certain extent hellenistic litterature). The Quran is very different from that. It has all the hallmarks of it being an oral product where the revelations were stretched out over a long time. There is no “grand plan” behind the contents or structure of the suras. No stitching together of earlier traditions into a larger story the way we find in the gospels or the book of genesis. If the Umayyads really wanted to invent a holy book for the Arabs that was meant to compete with the Torah and the gospels I am sure they could have found scribes that could have made a better job than the disjointed revelations in the Quran. This wasn’t intended as a comprehensive review of either book, and in Carrier’s case I wanted to focus on Paul who is key. I don’t buy the James verse being an interpolation. If it was Paul that wrote “the brother of the Lord,” I think the reason he did so was that James was a common name and he wanted the Galatians to know which James it was that he met. However, that could also provide a perfect motivation for any scribe who was copying the text who thought that the reader might be confused about which James was meant. It seems to me to be just the type of thing that one scribe might right in the margin and a subsequent scribe might add to the text. On interpolations generally, I think we can be fairly sure that some changes were introduced into Paul’s letters in the first century or more of copying that will never be identified. I think that it is also reasonable to suppose that most intentional changes were in the direction of orthodoxy or what came to be accepted as orthodoxy, rather than in the other direction. I find Paul’s hints at a historical Jesus too ambiguous to carry much weight, particularly when I consider that they are the product of a process that would have tended to strengthen them. The “Brother of the Lord” in Gal 1:19 is most likely an interpolation. The whole passage of Paul’s first visit feels unreal given that Paul apparently forgot the titles of Cephas and James on his second visit. If he had known them as the go-to-people in the church, why would he be looking for some unknown figures “who were of repute” the second time around ? The bigger problem with the near absolute title “Lord” as Paul used it in reference to Jesus Christ (and as it was later adopted by the church), is that it would have been at loggerheads with the idea of kinship to a pious worshipper of the Second Temple. Let me lay out some evidence, then, for Gal 1:19 being an interpolation. Irenaeus’ Latin copy of Galatians had Gal 2:1 thus: “Then after fourteen years I went up [again] to Jerusalem” – missing the word again. (See Adversus Haereses book 3, 13 – https://archive.org/stream/sanctiirenaeiep00harvgoog#page/n84/mode/2up ) This suggests that the word “again” was an interpolation, which in turn suggests that the first visit to Jerusalem discussed at canonical Gal 1:18-19 is likewise an interpolation. For why add the word “again” if not to partner a newly added prior visit? Thirdly, why would the author include the sentence, “(In what I am writing to you, before God, I do not lie! )” if he were not introducing something controversial or novel? There does not seem to be anything controversial or novel about reporting a visit to Jerusalem, unless such a visit is only newly being reported at a point in time when it has become polemically useful. I would suggest that making Paul visit Jerusalem early is a strike by the Proto-Catholic Church against Marcionites who asserted Paul’s independence and held the “second” visit to be the first one. A Catholic may have wanted to tie Paul much earlier to the Jerusalem Pillars. Perhaps he limited Paul’s acquaintance at the time to Cephas and James in a bid to avoid the contradiction above. As I see it, both interpolation and non-biological interpretation are feasible avenues for undermining the idea that Jesus had a real brother James. I agree that there is nothing improbable about Paul wanting to avoid any reference to Jesus’ earthly business, but I am somewhat skeptical that he could have gotten away with it. Peter and James certainly would have cited the fact that Jesus was a circumcised Jew and surely would have remembered something he said that they could claim supported their position, e.g. Matthew 5:17-20. I suspect that being sure they were right, the temptation to simply invent a saying of Jesus would be very great. Not only would Peter and James be so tempted, but anyone who had any disagreement with Paul might be tempted to invent a saying of Jesus to bolster their position. As we know that there were people who invented teachings and attributed them to Paul, I think we can be sure that there were people who would have invented teachings and attributed them to Jesus. So even though Paul might have wanted to avoid any reference to Jesus’ earthly business, the authenticity of stories about that business as well as the meaning of the things that Jesus said and did would have been key issues in almost any dispute that arose in his communities. Wouldn’t Paul have had to grapple with that at some point? I think Paul’s letters make more sense on the hypothesis that his opponents were also relying only on the revelations of the risen Christ without access to the teachings of the earthly Jesus. I don’t think that proves that there was no earthly Jesus, but it might mean that his earthly ministry was largely a later invention. Arguments like this make me wonder what would have happened if the Taiping movement had succeeded in conquering China and surviving as a politico-religious ideology for a few centuries. No doubt there would be scholars who would argue vociferously that Hong Xiuquan, the “Younger Brother of Jesus” was an invention of Yang Xiuqing, created to provide a unifying ideology to weld together a disparate movement that otherwise had only opposition to the Qing dynasty as its common core. And they’d be able to make a strong case, at least as strong as Spencer has in his book! But that’s true. We really don’t have a reason to state P52 is a copy of John with much confidence. Maybe it is. Maybe not. Could be either. It is frustrating to realize how uncertain we should be about these things, and it’s common for NT historians to, at this point, resort to saying things like “well, we have to go with what we have,” (I’m looking at James McGrath…) but this ignores the fact that not only do we have to go with what we have, we have to be careful about how certain “what we have” licenses us to be. If mainstream scholars would just at least admit that we shouldn’t have any _confidence_ that Jesus existed, that would be a step forward! That’s an interesting analysis, and I hope Carrier responds to it. I take a different approach to myth and history in the Gospel in my book, Secret of the Savior: The Myth of the Messiah in Mark (University Press of America: 2013). Jesus is a symbol of salvation and the story of Jesus recapitulates the history of salvation. I discuss mythicism along with other theories in the appendix. Perhaps some readers would like to read and review it. Alas, I still don’t have a copy of Carrier’s latest. A problem I had with Proving History was that, while he does a good job of making Bayes’ accessible, he still has qualified critics who say it simply isn’t applicable (and supporters who say it is). Since the less accessible version is far too complicated for my humanities brain, I’m left little recourse other than to sit on my hands (I also strongly disagree with one of Carrier’s key premises–that history is fundamentally scientific, and find his primary source for that claim appallingly bad–but that’s another issue). It’s been interesting to watch (and participate on occasion) the evolution of mythicism in recent years as it has gained more traction. I sincerely hope Carrier opens the door to *real* dialogue, but frustratingly some things seem to change more slowly than I might like, so I suspect that if it does it will be a long time in coming. Which increasingly seems like prolonging the inevitable to me. That mythicisim will be recognized as a *real* model that requires *real* interaction seems inescapable to me now, and I certainly didn’t always think that was the case. Thanks for the review! Looking forward to reading it for myself. There’s also the “semi-mythicist” case on Jesus. Maybe the Talmud was right and he was a Pharisee crucified by Alexander Jannai, with a century’s worth of “accretions” before Paul, etc. As a “blanking liar” who ought to “die in a fire,” it is hard for me to agree that Richard habitually avoids ad hominem, certainly not vitriol. I’d say he makes a habit of it with people who cross him. Carrier’s book is clever, in some ways, but a complete and utter failure, in more important ones. I explained my reasons in Jesus is No Myth: The Fingerprints of God on the Gospels. I also described 30 separate criteria which support the historicity of Jesus in the gospels. One of those, true, is Embarrassment, but the embarrassing fact is that having trashed that criteria, Carrier himself makes use of it — in one case, in a footnote on the very same page on which he trashes it, and without going through his long list of rules for using it. 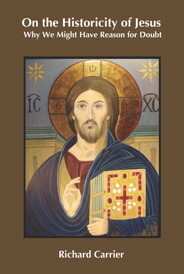 Personally, I think the criteria is both value and useful, and in concert with the other 29, proves not the historicity of Jesus, which is not a question among serious scholars, but that the gospels give a strongly historical and close account of the most remarkable human being the planet has thus encountered. Carrier attempts to rebut my book on his website, but his “review” is perhaps the biggest mess I’ve ever seen from a seriously credentialed author in my life: shrill, vitriolic, and utterly irrelevant to all my actual arguments. (I counted 129 errors in his “review” alone — he represents nothing I say accurately, even the central claim of the book, which is why he almost never quotes my actual words directly.) Having read Carrier’s milder interactions with other critics in the past, I recognized the pattern: the man seemed to recognize, at some level of his being, that his ship was sunk.